Caunton Engineering is one of the UK’s leading fully automated structural steelwork contractors and a world leader in Just-In-Time manufacture. Designing, fabricating, painting and erecting structural steelwork for the construction industry, the Nottinghamshire business employs over 250 people and has annual turnover in excess of £64m. 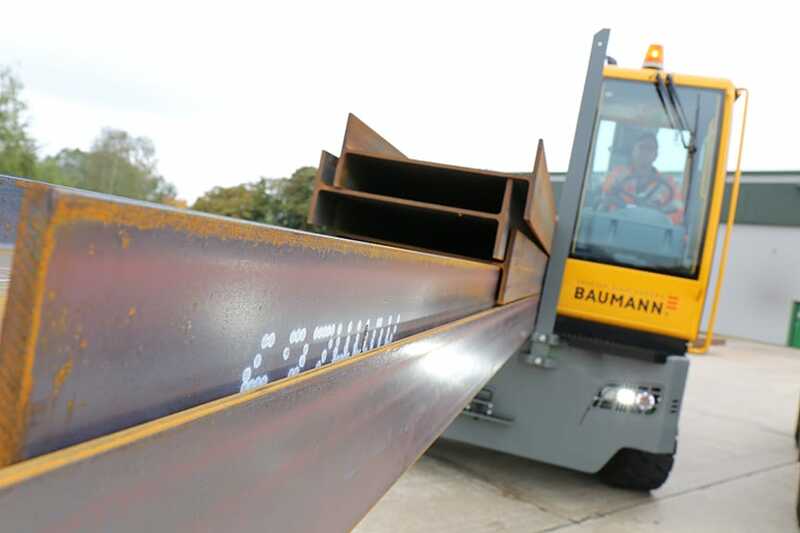 Designing, fabricating, painting and erecting structural steelwork for the construction industry, the Nottinghamshire business employs over 250 people and has annual turnover in excess of £64m. 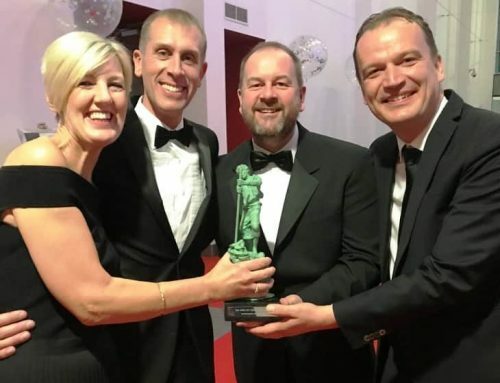 Over two thirds of Caunton’s projects are design and build, and the company has an impressive line-up of experienced structural engineers, most of whom are graduates or Chartered. Supplying around 26,000 tonnes of steelwork annually, the company places great store in its ability to remain flexible, specialising in both primary and secondary steelwork, and covering the full gamut of services from designing and fabrication, painting and erecting. Maintaining that flexibility means working with the right MHE partner. One that is able to support the business when needed and advise on new ways of working. 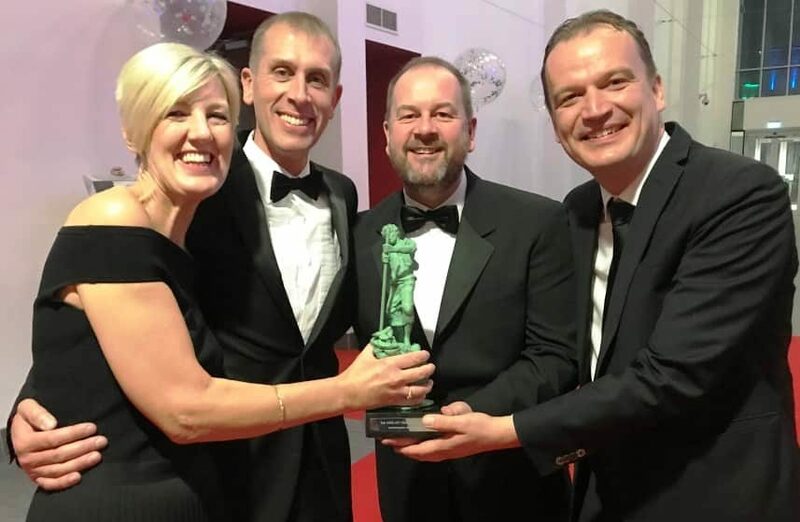 Windsor has itself spent a great deal of time focussing on providing customers with exceptional service and support, something which Caunton can attest to. “We’ve worked with Windsor for almost a decade,” says production director, Mark White, who has been with the company for over 25 years. 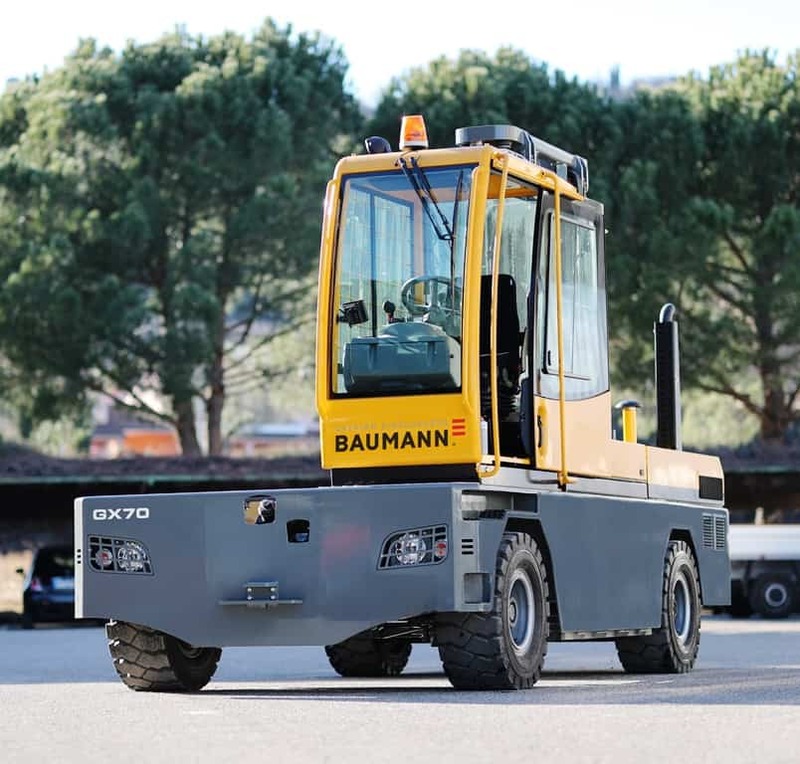 Tyres, service, maintenance and of course, new equipment is all part of Windsor’s remit. 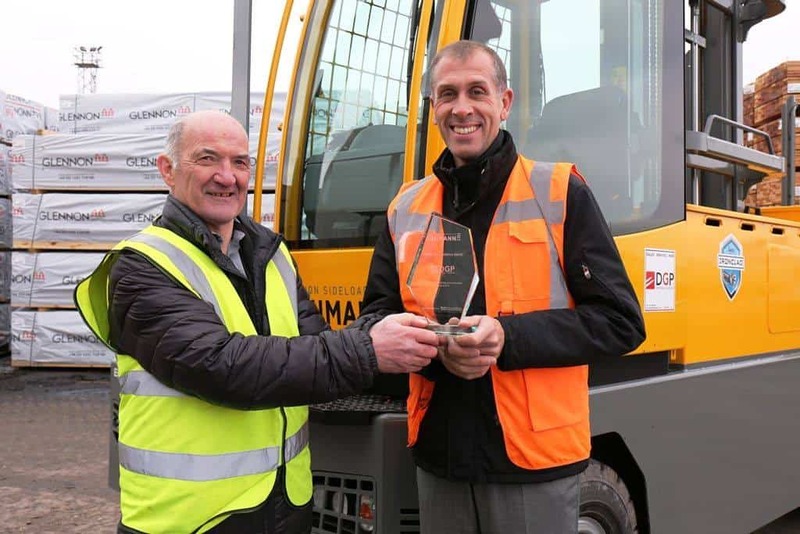 Multi-directional machines, powered pallet trucks, 5 tonne capacity counterbalance, access equipment, telehandlers and a £300K investment in a bespoke straddle carrier is proof of Caunton and Windsor’s partnership approach. “Service and repair times are exceptional, but the help and advice on projects has been incredibly useful too,” adds Mark. 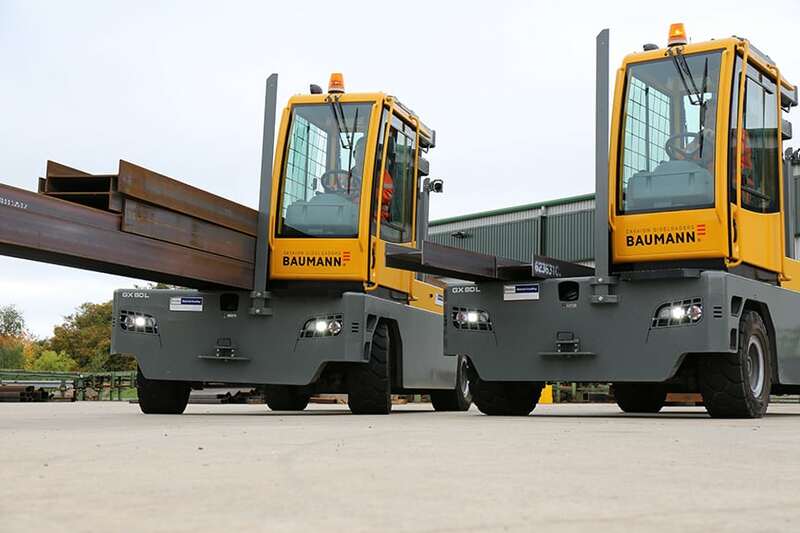 The latest additions to the fleet are three GX80L Baumann sideloaders, a machine known for its durability and high build quality, and an essential cog in the operation. 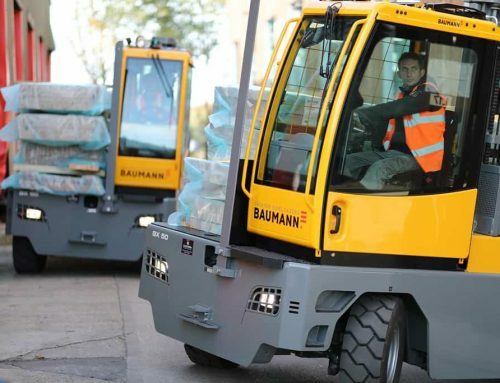 Sideloaders are a proven way to handle long loads safetly and productively, particularly over longer distances. 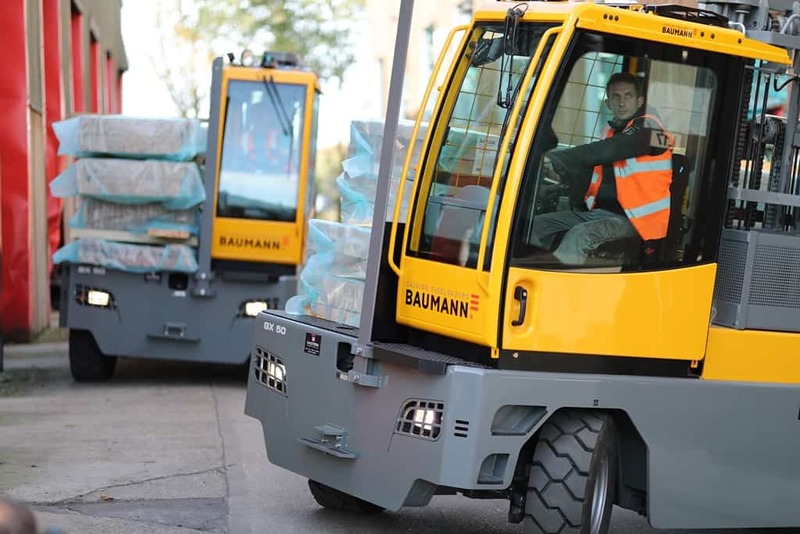 The Baumann sideloaders come complete with the award winning Archimedes outreach system, ensuring fine control for the operator. Hydraulic cylinders traditionally drive a sideloader outreach system (the method by which the forks reach out to the load and return it to the load bed) by applying pressure to opposing rollers that slide along their respective channels, in a pantograph-style mechanical linkage. 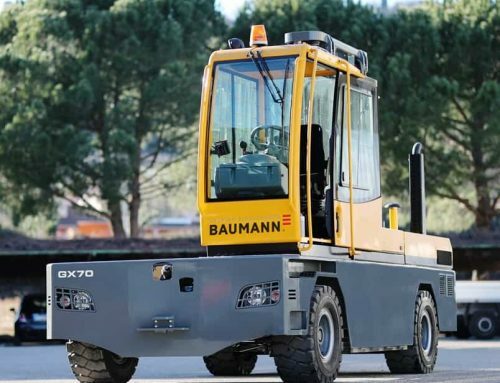 The new Baumann GX Series utilises the direct drive Archimedes screw to extend the fork carriage, whilst preventing horizontal movements and eliminating unnecessary stresses. 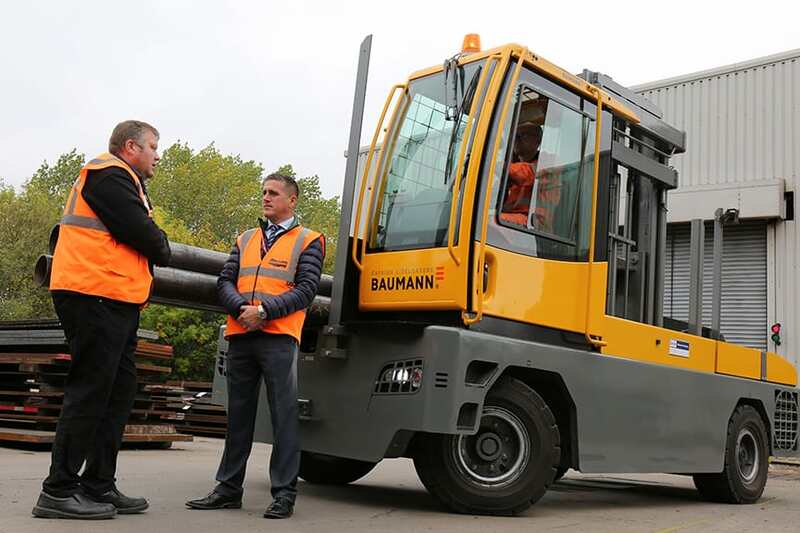 The system is low in maintenance and simple in design, with a high level of engineering and durability to ensure greater safety, and perfectly synchronised outreach for highly accurate, smooth, efficient load control. The whole outreach system works in unison, which means ideal results each time, and maximum working speeds. It’s a great feature and a good fit for the site, say’s Windsor’s Andy Lane. Both Andy and Mark know the value of the equipment. 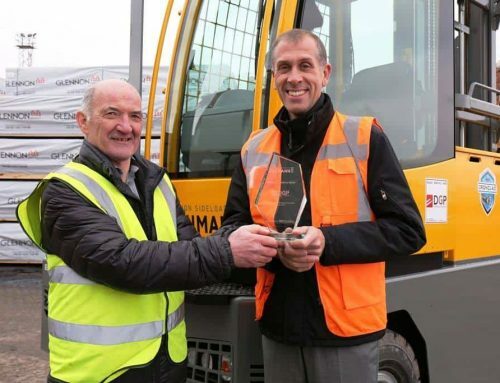 Windsor previously provided a different sideloaders brand which demanded a great deal of work to maintain. With the business split over different sites, a breakdown would have the capability of stopping other parts of the business, but now that’s no longer the case.